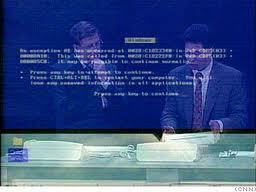 Microsoft releases their epically ill-fated software package, “Bob“, whose name will forever live in infamy. 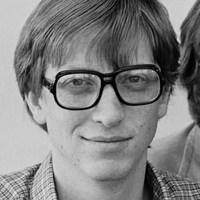 Given the tide of popularity and visibility Microsoft was riding on the way to releasing Windows 95 later that year, Bob was the first highly visible flop from Microsoft. Future flops from Microsoft included Windows ME, the Zune, and Windows Vista to name a few. While Bob was “killed” only a year later, many of the ideas that went into Bob were salvaged by Microsoft, most notably the “Clippy” assistant, which was perhaps as equally as derided by computer users. Read this excellent write-up on the history of Bob. Bill Gates gives the opening address at the First Annual World Altair Computer Convention in Albuquerque, New Mexico. 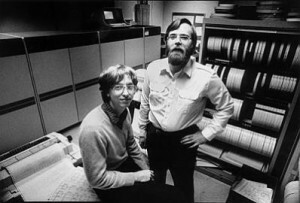 Gates was still a student at Harvard but along with Paul Allen helped develop the version of the BASIC language sold with the Altair computer. 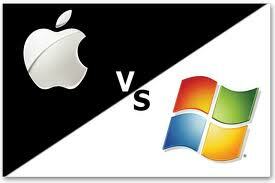 Apple Computer famously sues Microsoft Corporation for copyright infringement in its Windows operating system. Apple eventually lost the lawsuit in 1995. 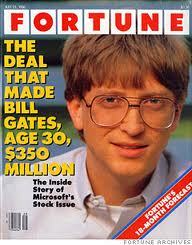 Ten years after the company’s founding, Microsoft Corporation stock goes public at $21 per share. The stock, which eventually closed at $27.75 a share, peaked at $29.25 a share shortly after the opening. It is said that the rising value of Microsoft stock has made an estimated 4 billionaires and 12,000 millionaires of Microsoft employees. 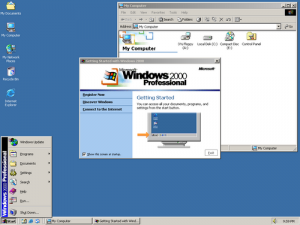 Microsoft introduces the latest version of the Windows NT line of operating systems, Windows 2000. While Windows 2000 did bring plug and play to the Windows NT line, it was targeted to the business market and not the consumer. It was not until Windows XP that Microsoft merged the NT line with the Windows 95/98 line. Unfortunately, Microsoft unleashed Windows ME upon unsuspecting consumers in the meantime. Sigh. 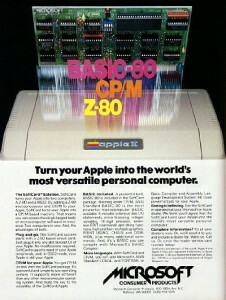 The term “vaporware” is first used by Philip Elmer-DeWitt in a TIME magazine article. The term is now commonly used to describe software that has been long announced but hasn’t actually been released. At the time, many experts believed Microsoft was guilty of using vaporware announcements to keep customers from purchasing software from other companies (by convincing them that a Microsoft version was just around the corner).